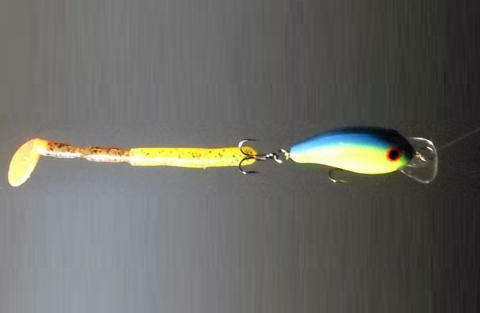 Whether you’re trolling or casting, you can attach a RotoTail to the belly hook or tail hook of just about any plug. Make the RotoTail as short or as long as you like. If you pick a longer one, you’ll get a more snake-like swimming action. A shorter one will give you a faster, more violent action. Experiment to see what works best for your fish!